Tobacco and nicotine products are evolving in appearance and parents might not be aware. Tobacco and nicotine products are evolving in appearance, and parents might not be aware. “I think the products are coming up so quickly that the tobacco of yesterday is not the tobacco of today,” said Anneke Mohr with the City of Milwaukee Tobacco-Free Alliance. According to Wisconsin’s Department of Health Services, from 2014 to 2018, youth e-cigarette use in Wisconsin nearly tripled. Many of the electronic cigarettes, also referred to as vapors, can be mistaken for high-tech gadgets like flash drives. You can plug the products into other electronics. “He came across a vape [that] looks kind of like a teardrop,” Brown said. Brown said her son said no, but told his mom he was curious. “I always think about the grandparents that are raising the kids today that aren't maybe so tech savvy,” she said. 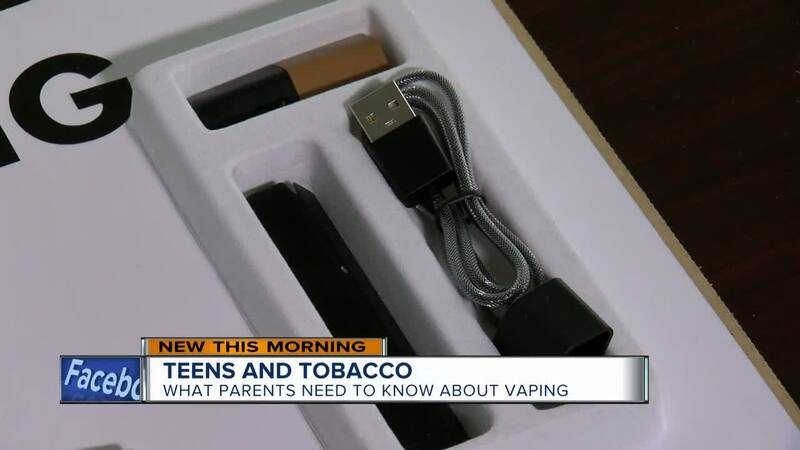 Parents can check out Wisconsin’s Department of Health Services website to become familiar with new e-cigarette products hitting the market.